Traditionally, the holiday season brings families together. But as families grow and change, it may not be feasible for everyone to attend holiday events in person. 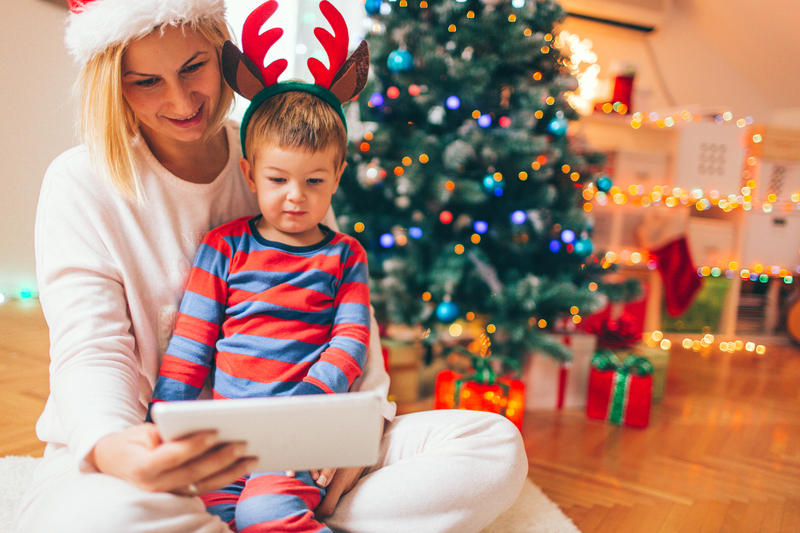 If you won’t be able to celebrate in person with your loved ones this holiday season, try these ideas to stay connected no matter where you are. Smartphones, tablets, computers and even smart televisions can stream family members into holiday dinners or gift openings. Whether it’s a one-on-one conversation on FaceTime, a group chat on Google Hangout Video Chat (which can connect up to 10 individuals) or House Party, there are plenty of options for your device. And if you have family in other countries, apps like WhatsApp and Viber are a convenient way to connect without the expensive costs of international calls and texts. But what if it’s not as easy as hitting a button? Check the internet connection Face chat apps like FaceTime and Google Hangouts connect more easily through Wi-Fi as opposed to 4G or 3G. Wi-Fi also ensures that you won’t use up that limited phone data. Restart your device and close apps you aren’t using Close all other apps currently running on your device, as they might be slowing down your device by running in the background. Similarly, don’t stream Netflix or a YouTube video while making video calls. Channel all your device’s bandwidth to the video call. A quick restart should clear the air for connection. Update the app Is your software out of date? Make sure the version of the app on your device is the latest and greatest. Old software will not connect as well. Notice your surroundings Lighting and audio can account for technical difficulties, too! You want to avoid backlighting from a window, yet make sure there’s enough light in front to illuminate your face. Limit background noise as much as possible, too. Still having trouble? If you are enrolled in your phone carrier’s protection and support program, you may already have access to personalized tech experts who can help you learn, grow and do more with your technology.